Description. Injuries from falls are a major public health issue. Falls often occur when the environment restricts the range of possible movements and drives the walking human out of the safety zone into less stable behavior. We use obstacles obstructing a walkway as a basic model of interactions between the balance system and environmental constraints. 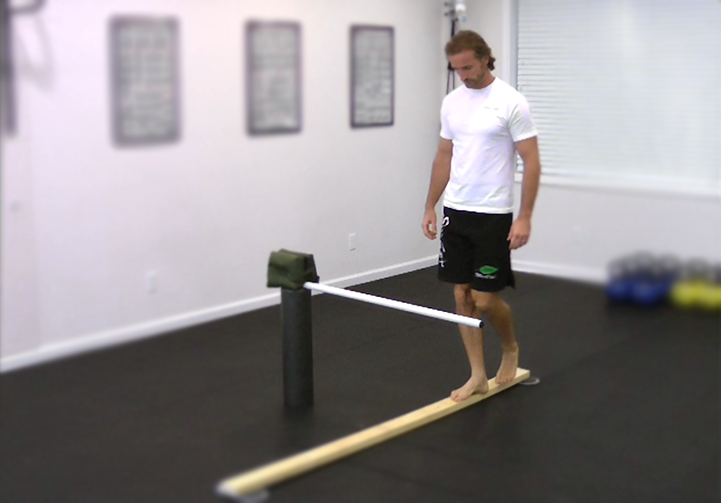 Stepping over an obstacle is a complex behavior, with a multitude of different aspects such as horizontal distance to the obstacle before and after the step, vertical clearance of the ankle and toes when passing the obstacle, development of the ground reaction forces under the stance foot, and total time for stepping over. These aspects interact with each other in non-trivial ways. For instance, the total time used for a step is increased when stepping over a higher obstacle, but not when taking a longer step over a more distant obstacle. Increases in step time shifts the relative importance between the different mechanisms of balance control (link). The stance foot ankle strategy becomes more important for longer steps. Observing changes in the relevant balance responses, e.g. the stance foot ground reaction forces, provides a way to understand how the motor plans accommodate different balance requirements imposed by the environment. Understanding mechanisms underlying obstacle crossing behavior becomes critical. Obstacles avoidance during locomotion pose serious challenges during walking and can lead to injuries which could be proven fatal. So, understanding movement behavior during obstacle crossing will aid in prevention of fall and make progress in rehabilitation paradigms for clinical population and advance healthy living.